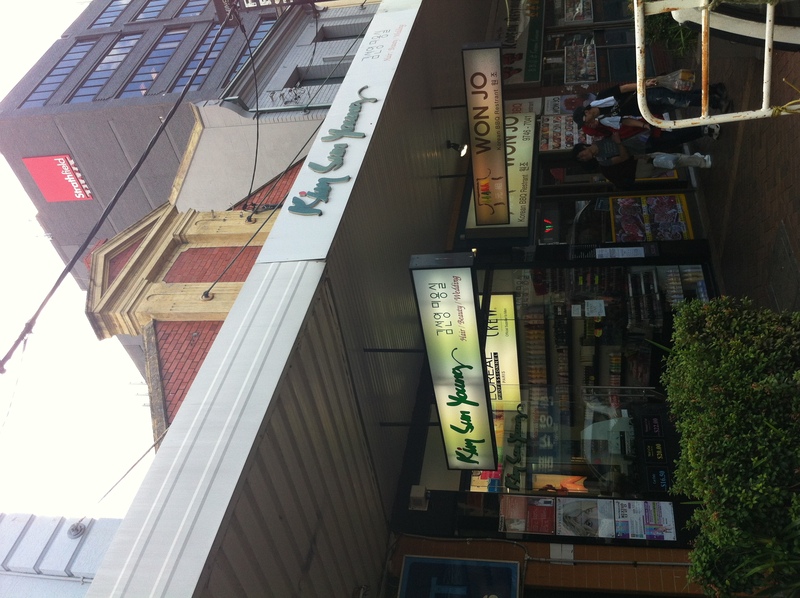 Kim Sun Young provides Strathfield with its hair, beauty and wedding needs, but the dirty alley behind the shop gives us a history lesson. I’m guessing it was a shoe shop. Why you would advertise in any way in such a dingy back alley escapes me, but I imagine that they chose to put up a Dunlops sign to discourage thieves who were perhaps expecting Nikes. That said, for all I know it could have been a golf ball shop and the sign’s there to discourage thieves expecting Titleists. And if you think I made a baseless comment just now about varying quality of golf balls, don’t think I didn’t do my homework. UPDATE: Turns out I didn’t do my homework. 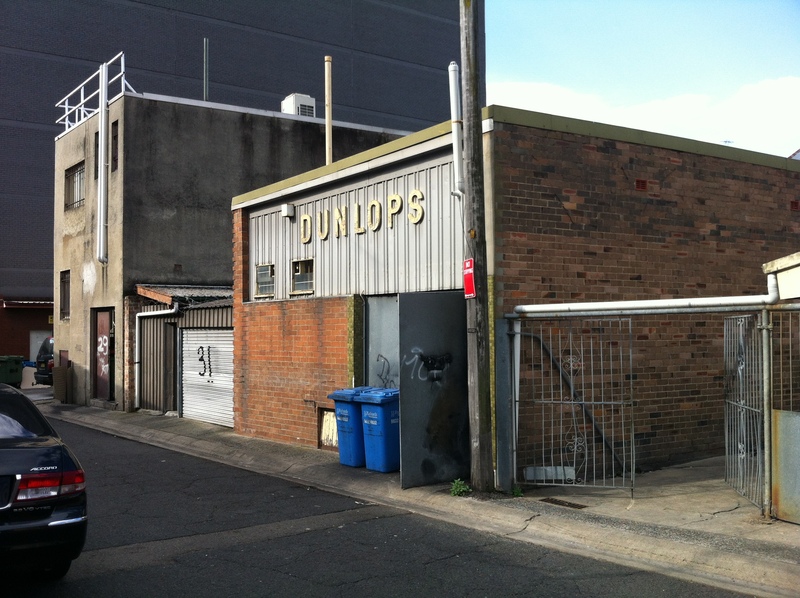 Dunlop’s was actually a clothing and haberdashery store, and existed until at least 1980. Before that it was Reynolds’ Drapery. Mine was a pretty good guess though, right? Big thanks to Cathy Jones and her Strathfield History Images blog!